Toothbrush: Soaking your toothbrush in hydrogen peroxide will help keep them free of harmul germs. 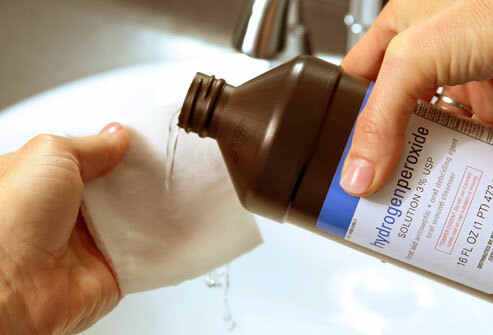 Tooth Ache: Hydrogen peroxide is not a pain killer; however, as an anti-viral, antibacterial and anti-fungal agent, it is effective at treating the pathogen that is causing the infection. The following is from my own personal experience: My dentist wanted to give me a root canal some time ago as one tooth was inflamed and, in her opinion, would die. I felt some discomfort but told her that I would give it chance to heal. I rinsed with hydrogen peroxide (several times a day) as well as coconut oil (once a day). The discomfort went away and I have had no further problems with the tooth. In the Dishwasher: Add 2 oz. of 3% hydrogen peroxide to your regular washing formula.